The reggae community breathed a sigh of relief in November when Buju Banton was finally released from prison on bail. 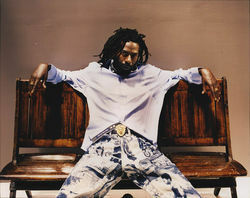 Arrested in December 2009 on suspicion of conspiracy to possess and distribute five kilograms of cocaine, Buju (real name Mark Anthony Myrie) was locked up in Tampa’s Pinellas County Jail for eleven harrowing months. He claimed mistreatment and poor health, but waited what seemed like decades for a trial that was postponed three times. This entry was posted on Saturday, January 15th, 2011 at 2:13 pm	and is filed under Reggae Music. You can follow any responses to this entry through the RSS 2.0 feed. You can skip to the end and leave a response. Pinging is currently not allowed.